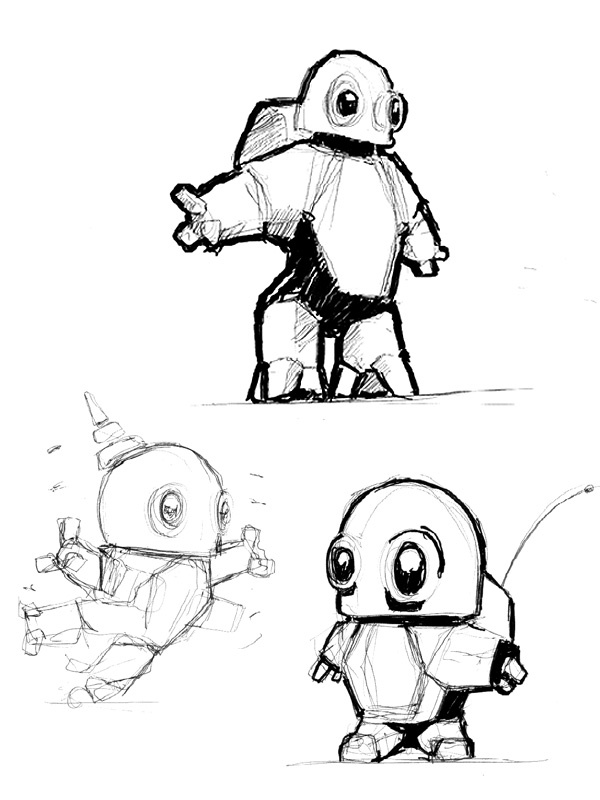 Bobots are clumsy robotic characters. They love activities, but their chubby bodies are not adopted for extreme sports, thus often they hurt them selfs. 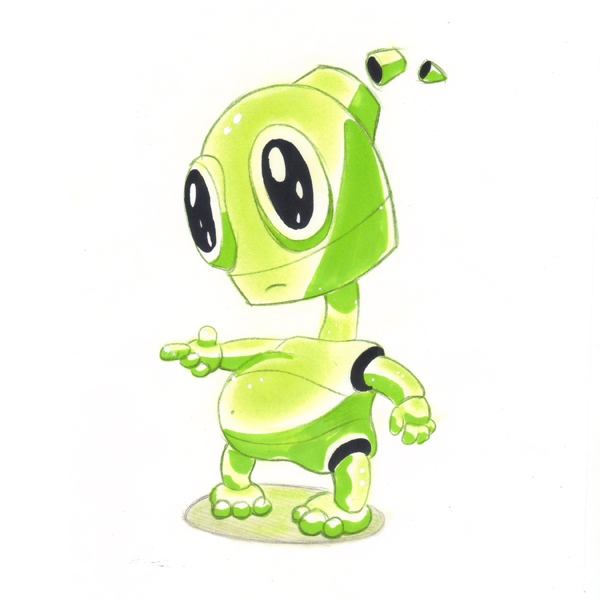 Main characteristics of the bobotic creatures are big shiny oval eyes and glossy skin. 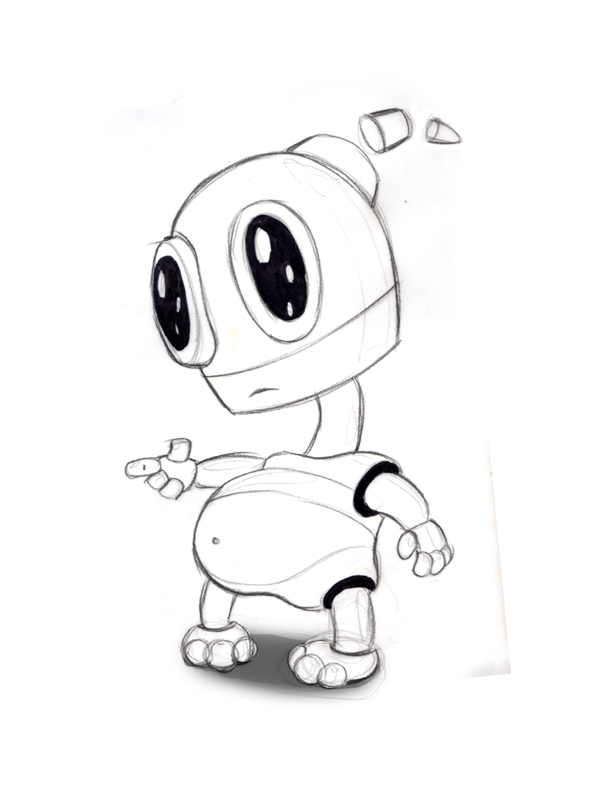 Bobots are super friendly, although they suffer from enormous fear of people. 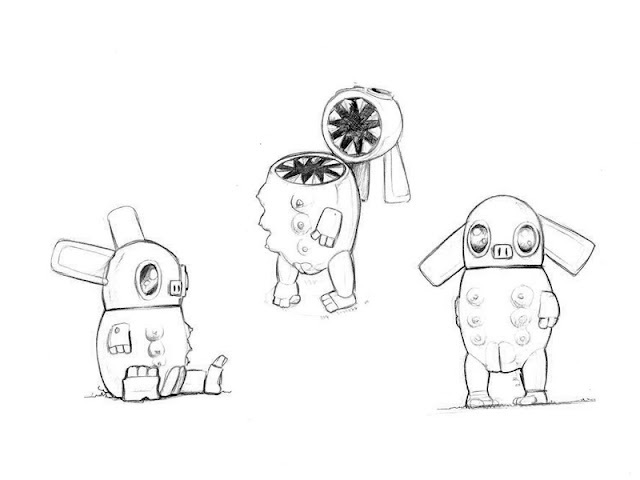 Sweet and sinister Bobotic character Hruncha. Bobot Lola is always sad. 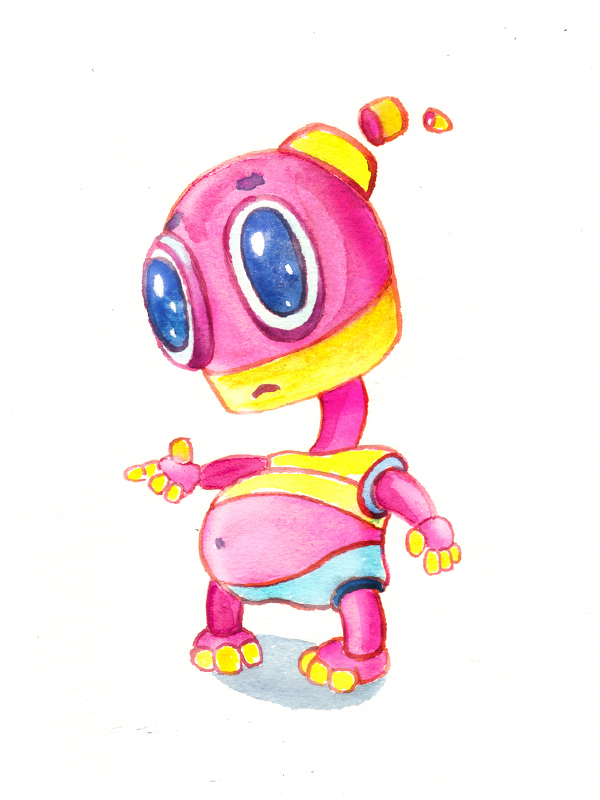 Used classic rendering techniques with markers and pastels to bring the colour to sad candies. 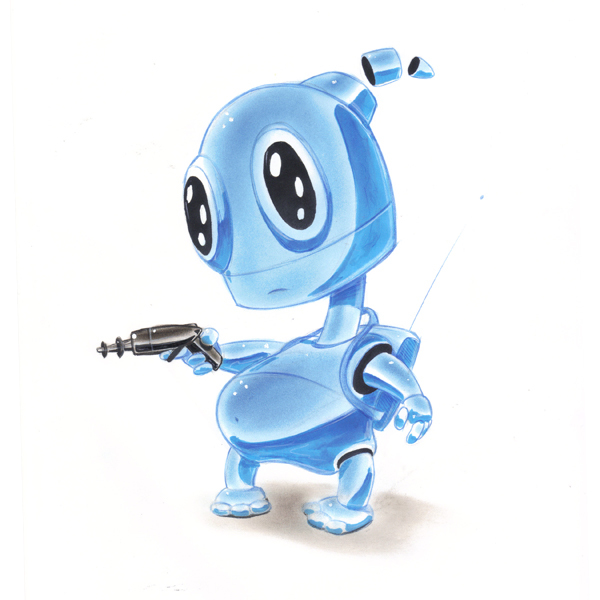 Risky blue Bobot Lola has serious gun. 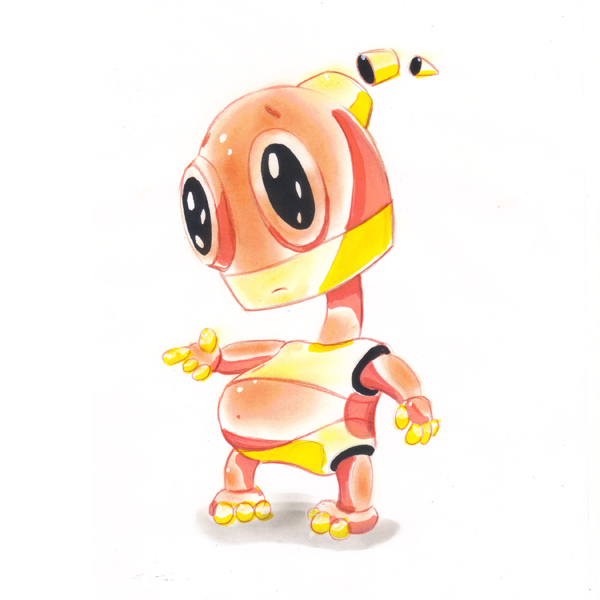 The sweet ice cream Bobot Lola character nicely coloured by Ola Li-o-La.